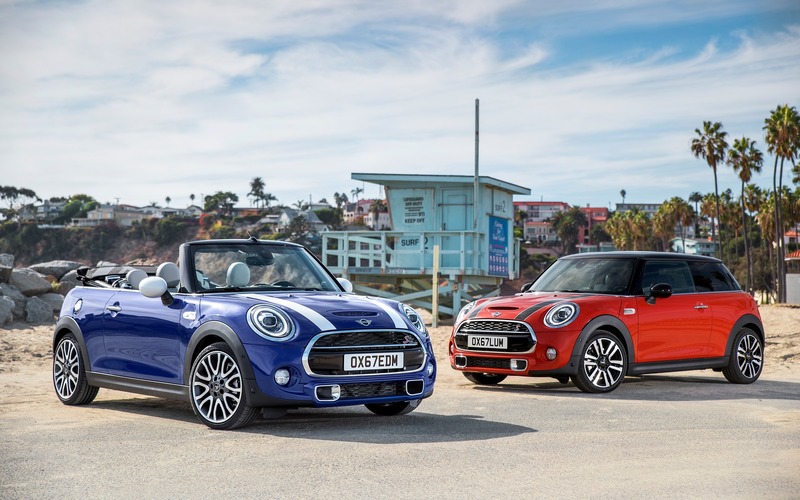 Introduced in 2014, the current generation of the MINI, available in 3 Door, 5 Door and Convertible variants, will benefit from a few styling and technological enhancements for the 2019 model year. The front end gets blacked-out headlight clusters, and at the rear, the optional LED taillights pay tribute to the brand’s British origins with a Union Jack flag motif. The cars will also wear MINI’s new two-dimensional logo and will offer a few new metallic paint colours, too. Inside, new colours are available, in addition to a piano black MINI Yours styling package that features a backlit dashboard panel, it too proudly displaying the Union Jack flag. The infotainment system now benefits from a touch-sensitive display screen, and wireless charging for portable devices is available as an option. Last but not least, the system will integrate Apple CarPlay. Under the hood, nothing changes. The base Cooper versions rely on a turbocharged, 1.5-litre three-cylinder engine that develops 134 horsepower, while the Cooper S trims get a turbocharged, 2.0-litre four with 189 horsepower. As for the John Cooper Works versions, they get a 228-hp engine. The 2019 MINIs will be on sale in April.